Award-Winning product designer Greg McNamara discusses social anthropology and finding what’s timeless in a trend. Good design shapes how we interact with the world and is central to improving our daily lives. Apple was not the first company to make mobile phones, but the design of the iPhone integrated so seamlessly into people’s lives that it became essential and set the standard for every portable computing device that followed. Nike has led with design to create an entire culture that’s about more than just sneakers. Your desk, your car, the device you are reading this on — all have been crafted by thoughtful and talented product designers. In our technology driven world, Design (with a capital “D”) has never been more important. In order to learn more about the importance and process of great product design, we spoke with Greg McNamara. Greg is an award-winning product designer and creative leader with more than 10 years of experience working with innovative brands in consumer electronics, lifestyle, fashion, and the action sports industry. As the head of Design and Innovation at Sol Republic, he developed many award-winning designs including the Shadow Wireless in-ear headphones, the Tracks series of premium customizable headphones, and the just released Relays Sport Wireless headphones. What’s the first thing you do when presented with a new product design project and a blank piece of paper? It really helps to have a brand behind you with a strong point of view. We’ve had that at Sol Republic for years. When I start designing a new product, I have to think about the person that I’m building that product for. I put myself in their shoes…and try to understand what they want. For example, a headphone is the ultimate combination of a utility object and, for the sophisticated and discerning listener, a luxury product. If it were just a utility, we’d simply buy the lowest cost product. Instead, we get the one that looks good, that sounds good, and that reflects who we are in the world. That’s important to understand. Every product designer has a bias, a personal sense of style and taste. And that’s a good thing; it gives us a point of view. But at the end of the day we have to remove ourselves from the equation a little bit, because we’re usually designing for someone other than ourselves. Who are you designing for at Sol Republic? It’s certainly not everybody (laughs). This person wants thoughtfully considered objects that enable them to have music in their life, and that can outwardly express some part of their inner soul. At Sol Republic we design and build objects that are highly functional, but allow people who using our headphones and wireless speakers to express themselves. We started the company with that mindset. 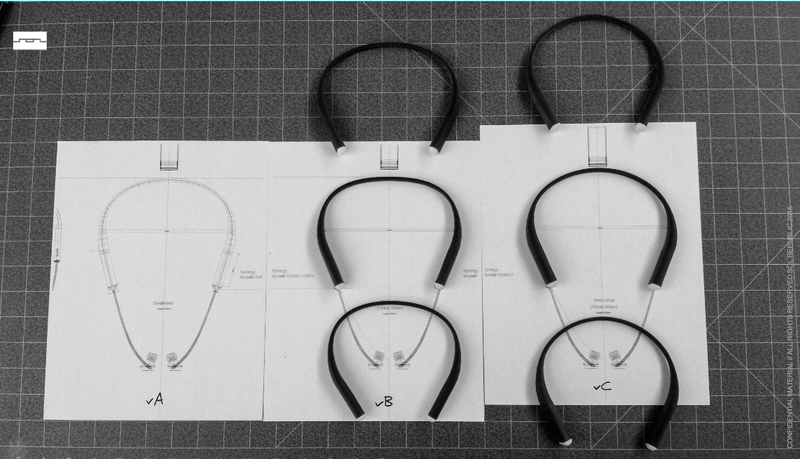 When we started designing Shadow Wireless in-ear headphones, for example, we wanted to reach people who are more conscious about what they’re wearing, and who wants something that performs well at the highest levels. It requires a higher common denominator of both function and form to be successful. But, at the end of the day, it should be easy to use. Looking at it from that perspective frames up things completely different. We started to take out features and remove buttons. We looked for simplicity. Ultimately we found a nice, balanced approach that could appeal to everybody because it’s so damn easy to use… but still felt elegant. People who try on Shadow Wireless for the first time usually have a look of delight on their face. Would you call that product design aspect “minimal”? ‘Minimal’ is just a means to an end, and not always the right answer. There’s plenty of times when, as a designer, it actually makes sense to add more things, to make it more interesting and impactful. If you look back over the past 60 years, design trends have changed almost every decade. So you want to be timeless, but you also want to be on trend. You want to make sure you’re reacting to what people are interested in today. How does a product designer identify what’s timeless within the trend? It’s hard to pull out. We have to carve out time to be in touch with the cultural zeitgeist. Designers are like social anthropologists, functionally; watching the news, reading fashion magazines, observing people on the street. It’s all being logged in the background of our minds, to be used as design fuel later. What trends are you seeing right now? Nike has been able to transform their industry, and succeed where others haven’t, by not being afraid to challenge the status quo. They’ve taken flat-knitting technology that’s been around for at least 50 years and honed it into something really, really special. It wasn’t tech for tech’s sake, but technology made beautiful; it has literally revolutionized shoe design. By trying to solve the problem of making a shoe both lightweight and fit better than anything else before, it pioneered a whole new aesthetic direction for the industry. Amazing. I also think that the wearable tech market is interesting to watch unfold. Wearables have yet to become a staple object, but they are becoming more commonplace. Strapping these intelligent devices onto our bodies really opens up a new paradigm for designers. But there are still problems with mass adoption and sometimes they miss the mark. While many smart watches haven’t appealed to their target audience, the Moto 360 Watch design has been successful because it celebrated being a watch first. Don’t start with the technology, start with lifestyle of your ideal user and then build in the technology to support what experiences people actually want. How do you know when a product you are designing is done? I don’t think it’s ever done (laughs). Once you’ve given birth to an object, you’re forever its biggest critic. There’s always something you want to change. But at some point you have to walk away. Usually it’s the timeline; maybe the product just needs to ship, or something external forces you to finish. But really, it’s never done.